MusicLobby 4 gives you, your family and friends the power to browse your digitally stored music in style! Not only should your music sound good - it can look good too. With MusicLobby 4, now you can view and control a MultiSource audio system. MusicLobby 4 offers several different ways of accessing your audio: Interactive Jukebox, Genre, Artist, Album and search to name a few. Control your music from any networked computer in the home. Add or remove tracks from your playlist using our easy-to-use interface that even children can learn. 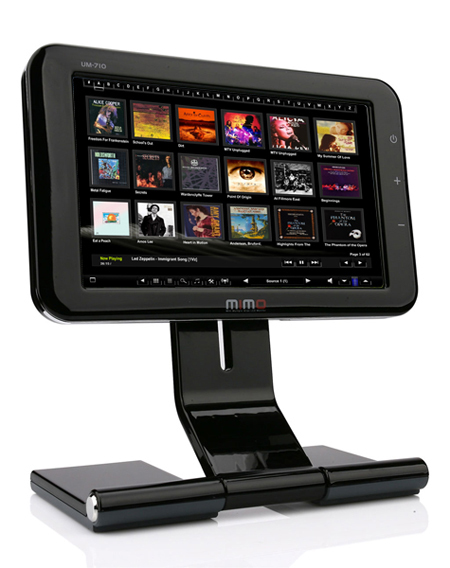 MusicLobby 4 was designed with touchscreens and wireless tablets in mind. The large buttons and clean, crisp, clear fonts make navigation usable	from a variety of displays. Setup is fast and easy. 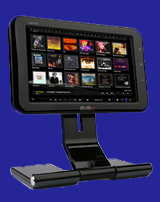 Some features include: support for over 80 media formats (.mp3, .wma, .wav, etc. ), multi-zone control, retrieve cover art from internet, etc. MusicLobby 4 now provides the means to automate your music system as each transport control is accesible to MLServer 3's new automation events. Time your son /daughter's music to shut off at bedtime - automatically! Computer running Windows XP, Vista, Windows 7 etc. View Current, Last, Next song metadata and coverart. Build custom scenes in MainLobby 3 with Playing Now information. All data is kept as	variables within MLServer for reuse. Data is available for all licensed audio zones. On screen keyboard for Search - usable via a touchscreen. Click above for larger image of "Gallery"